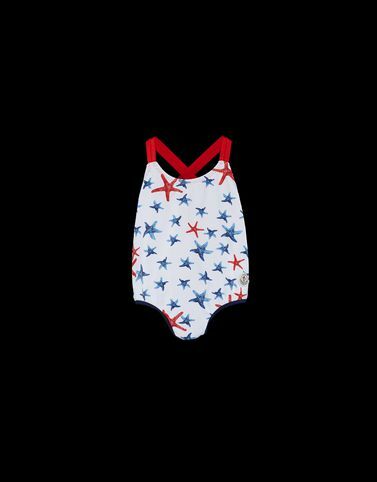 When a little mermaid is ready for her first dive, it is essential that she has a truly special swimsuit: Moncler transforms its classic tricolour detail into a new and decidedly summer print, beautiful both in and out of the water. Come on girls, the beach is waiting! Wash max 30°C; Do not bleach; Do not tumble dry; Do not iron; Do not dry clean; Do not professionally wet clean; Dry flat; Wash separately; Do not twist or wring; do not soak; It is advisable to wash with the garment on reverse.